It’s remarkable how little attention the media seem to pay to food waste, a scandal arising from a preventable set of circumstances that causes one-third of all food to be lost or discarded before anyone can eat it. If we could end waste, says the Save Food Initiative, we could eradicate world hunger—an outcome, unfortunately, that is as difficult to achieve as it is urgent to hope for. Food waste is a complex of problems touching agriculture, production, distribution, retailing, legislation, and public attitudes. Progress is being made on all of these fronts, but nowhere with more technical ingenuity than in packaging. New solutions for extending the edible lives of packaged foods won’t eliminate waste by themselves. But, they strongly advance the cause by making it easier for supply-chain personnel and consumers to make the right decisions about whether to keep food or throw it out. This is what the Danish Ministry of the Environment and Food had in mind in launching a project to develop new packaging meant to keep fruit and vegetables from rotting in stores. Researchers are pursuing five different solutions that will include sugar, salt, and plant extracts as waste-inhibiting packaging ingredients. The project is expected to be finished by the end of 2018. Chitosan—a biodegradable polymer derived from crustacean shells—and grapefruit seed are what researchers at the National University of Singapore (NUS) used to create a protective packaging material for bread and other perishable foods. The substances stretch shelf life in two ways: they slow down the growth of fungi and bacteria, and they block oxidation-triggering ultraviolet light. The NUS team found that bread in a bag made with chitosan and grapefruit seed could go for 10 days without showing fungal growth—more than three times longer than bread in polyethylene packaging. In the U.K., Graphic Packaging International wanted to do something about the fact that the region wastes 15 million tons of food annually. 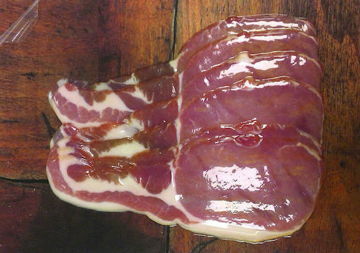 It came up with SlimFresh, a vacuum-wrapped, laminated board pack for the protein retail market (meat, poultry, and fish). The clear wrap consists of two high-barrier films that envelop the product like a second skin, protecting it from oxygen and preventing juice-draining leaks. The SlimFresh pack keeps food fresher for longer and creates premium appeal for consumers, according to GPI. Every year, Leipa Georg Leinfelder GMBH converts 1 million tons of waste paper into stocks for magazines, packaging, and specialty applications. Its contribution to the fight against food waste is LEIPAbarrier, a film that can be affixed to packaging materials to keep unwanted substances (such as mineral oils) away from the food product and desirable properties (such as aroma and flavor) inside the package where they belong. As an ethylene vinyl alcohol (EVOH) barrier solution, LEIPAbarrier also excels at blocking oxygen, a perennial source of food contamination. It is laminated directly onto primary packaging materials in thin layers that provide the two-way barrier protection. Shelf-life extending LEIPAbarrier can be decorated using any packaging printing method or coloring system, says the manufacturer. We’ve posted before about the frustration that arises from having to waste food that can’t be completely extracted from the packaging it comes in. 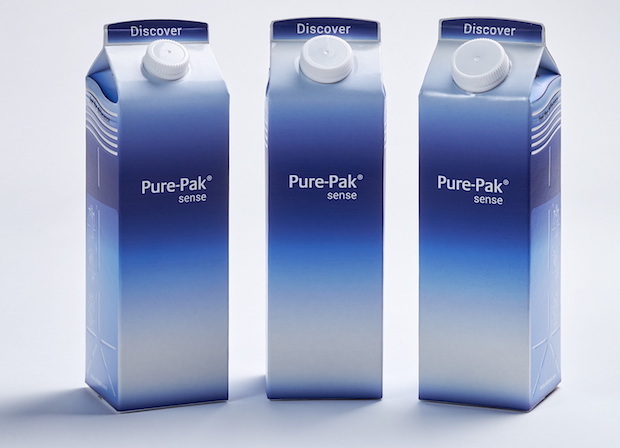 Elopak, a Norwegian supplier of paper-based packaging solutions for liquid foods, tries to alleviate it with Pure-Pak Sense, a cartoning system that delivers both tactile stimulation and the satisfaction of emptying the container to very last drop. The trick is a set of crease lines that enable consumers to fold the carton down as they use it. This lets them squeeze out more of the product from the pack—a major waste-reducer for high-viscosity products. The empty, flattened carton creates less volume in waste and recycling facilities than non-foldable containers. Pure-Pak Sense also features an embossed “first touch” zone on the top sides of the pack that feels good and improves handling. The average consumer isn’t a packaging scientist, but everyone can take steps at home to fight waste by making packaged foods last longer. Experiments by Kurtis L. Drager, a master’s degree candidate at the University of Wisconsin-Stout, showed that one simple way to do it is to transfer the product—in this case, breakfast cereal—from its opened package to an airtight polypropylene container. Drager found that controlling moisture content was the key to keeping cereal edible over extended periods of time. The results of his tests were striking: sealed in plastic, high-fat, high-sugar samples increased their shelf life from 59 days in the original packaging to 156 days in the polypropylene container. Low-fat, low-sugar cereals did even better, getting an additional lease of life of 147 days (236 days vs. 89 days). There is no master stroke for ending food waste—just a long series of hurdles to be cleared one opportunity at a time. The fight is made no easier by misconceptions about packaging that overshadow the good it does in this regard. For example, some food producers shun rigid plastic packaging for fear of “green” opposition to it in the consumer marketplace. Lost in the controversy is the fact that heat-sealed rigid plastic packs give exceptional protection against food contamination—so much so that according to some estimates, each pound of plastic packaging can reduce food waste by up to 1.7 pounds. More recognition clearly is needed. As the foregoing examples show, when the war on food waste finally is won, packaging will lead the victory parade. Much of the packaging industry is still looking for the most efficient ways to package goods safely and in a way that minimizes the changes of damage and misuse. Even the plastic packaging industry is moving towards completely bio-based products. The volume of oil used every year in the production of plastics equates to approximately five per cent of the world's total oil consumption. Approximately 40 per cent of all plastics are used in packaging, which puts special pressure on the packaging industry to reduce dependence on oil.